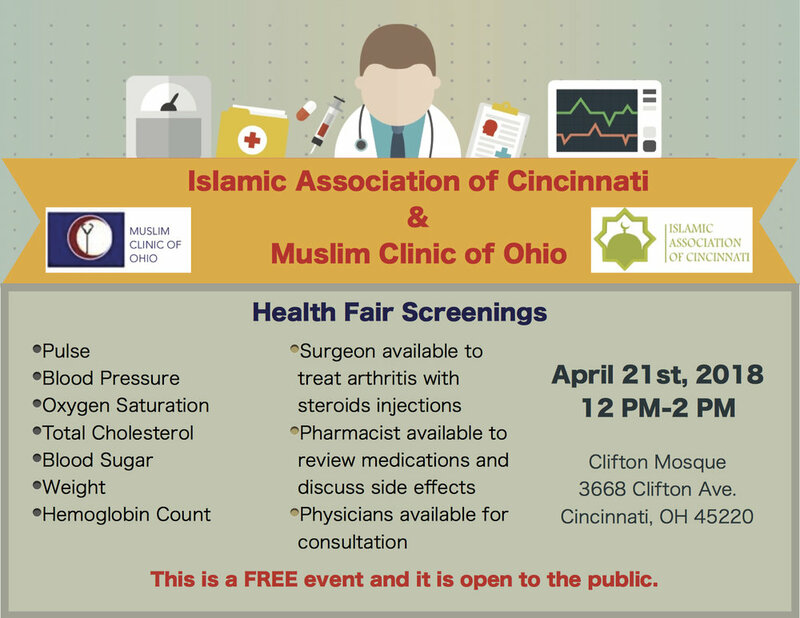 The Clifton Mosque is hosting a FREE health Fair Screening. Come by the Clifton Mosque, located at 3668 Clifton Avenue in Cincinnati on April 21st between 12 and 2 PM to take advantage of this free service. This Health Fair is open to the public and we welcome people of all faiths.